Welcome to Caitlin Lee Photographers! We are fine art wedding and portrait photographers. We work with couples who adore fashion, travel, and all things lovely. We love to capture our couples being exactly who they are: relationship dynamics, those small moments you don't even know are happening-- those unplanned interactions of love. If you're madly in love and have been dreaming up your perfect wedding, we would LOVE to chat with you! I (Caitlin) have been photographing weddings for five years now. If you ask me what my absolute favorite trend from the past decade was, I would cry out, First Look! What is a First Look? 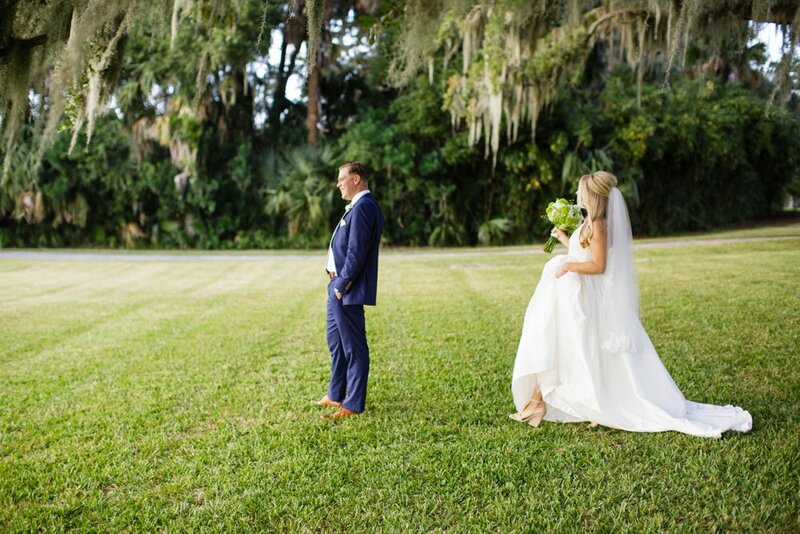 It’s a unique opportunity for the Bride and Groom to have a private moment to see each other before the ceremony. but ladies, I think it’s bad luck to run out of daylight for photos..
Nightmare, am I right? I don’t think your grandmother is going to shame you for making a smart decision. 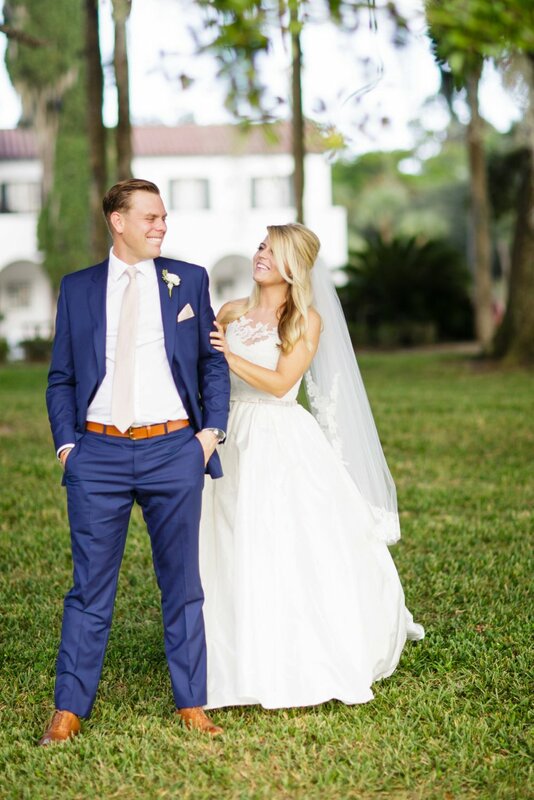 I know most photographers, myself included, have our brides and grooms fill out a timeline beforehand so we make sure to have plenty of time after the ceremony to get your formal photos done. But darlings, we all understand life, sometimes things don’t always go as planned. The flower girl doesn’t want to go down the aisle, people are running late, it starts raining.. Things happen. So let’s say you’ve set formals from 5:30-6:30p.m. with a 5:00p.m. Ceremony. The Ceremony starts late, which believe me happens, well that leaves you with 15-20 min LESS time for formals. Sunset is at 6:30p.m., we are now in a race for time. Just typing this makes me queasy. Why not, take out the stress of “What if?” and plan for the worst and come out with time to spare, which means more time for your family and friends! Go ahead and get all of your formals out of the way before the ceremony. I mean, your family is already dressed and ready to go! Then, you can do a few romantic sunset photos in the evening, but all of your portraits will have already been finished and you’re free to go mingle with your guests! Pop the champagne! I mentioned, Sunset photos. Those thirty minutes before the sun fully sets is my absolute fave time for portraits! Everything looks like an absolute dream– The pinks and deep purple hues.. Why waste such a beautiful moment?! So maybe instead of going back to your guests, you take advantage of that gorgeous Golden Hour and get almost TWICE the amount of Bride and Groom Portraits?? Remember, you already got all of those bridal party + family group shots out of the way before the Ceremony, why not go nuts? Let your photographer use this time to go above and beyond and hopefully exceed your expectations. After all, these photos are all you have to look back on, right? We would love to give you the opportunity for even more lovely photos! “I wish we had taken more photos.” these words should never follow your Wedding Day. 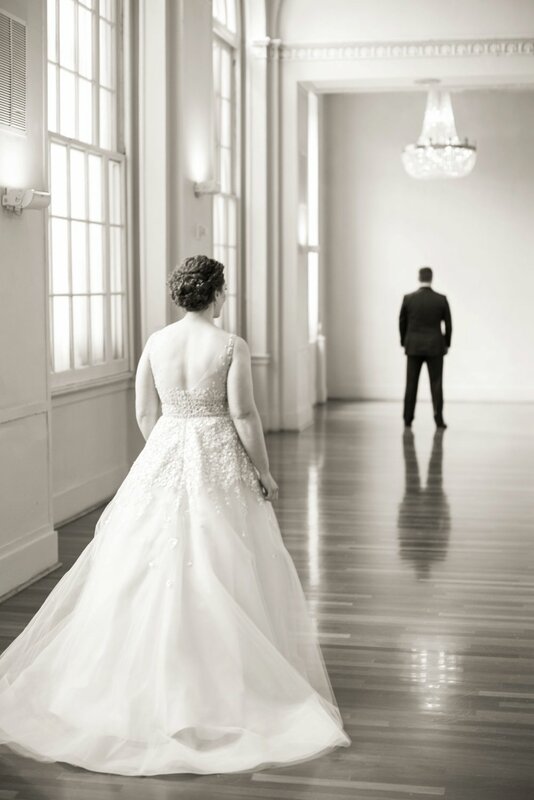 All of this by no means is saying you have to hire your photographer for 10 hours in order to capture all of the important moments that encompass your Wedding Day. No, you can be savvy with managing your time and have a lovely, no stress(!) photography experience. You can absolutely schedule your hair and make up to be finished an hour and a half before your Ceremony. Start Formal photos of you (Bride) with bridesmaids (15 min), Bride’s immediate family (15 min) and then portraits of the Bride (15-30 min). 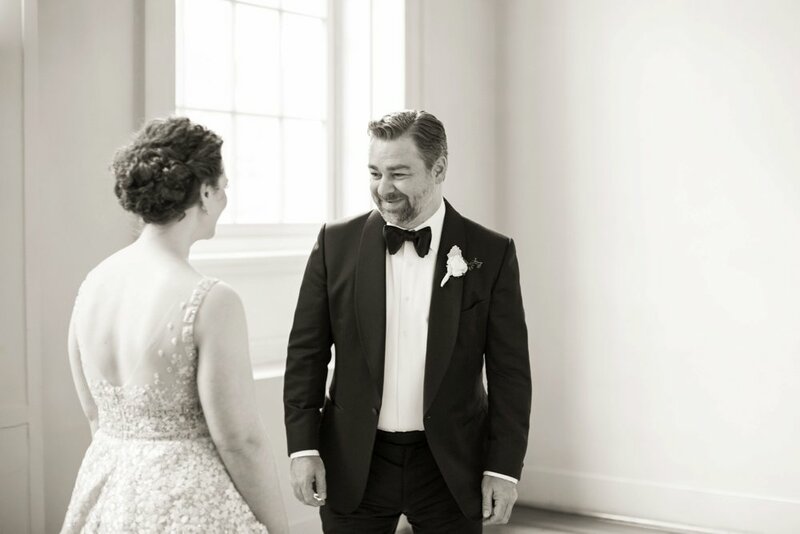 Same scenario with the Groom– you should still be rocking to have 30 min to get tucked away before the Ceremony, grab a drink of water, touch up on hair and make up before you have to walk down the aisle. In this case, I would highly suggest an earlier Ceremony time. I gave an example earlier, just bump that 5 o’clock Ceremony up 30 min to an hour and you’re golden! Remember things do not always start on time, plan for ample time and you’re in the clear! But I want to make sure you’re ok with possibly missing some or perhaps all of your cocktail hour still getting photos with both of your families, the whole bridal party, and Bride + Groom shots. I want to make sure you’re ok with this being the only opportunity for your Bride and Groom portraits and I want to make sure you understand, that as much as I wish I could, I can not control the weather. I can’t shoo clouds, rain, or gnats (thanks Georgia) away. I’ve done Weddings with First Looks and without. I will say with 100% certainty, that the one’s with, go more smoothly. If you don’t feel comfortable with taking the risk, save yourself the stress and schedule a First Look. My last ditch effort at convincing you shouldn’t take much. More alone time– the two of you can sneak away from your family and friends before the party gets started, and just TALK. Stare at each other. Giggle. Jump up and down. Cry (happy tears!). Your Wedding is going to be emotional. Have a moment to yourselves to take all of that in. I promise, you are not going to ruin any emotional response he’ll have when he sees you walking down the aisle. He’ll probably cry then too. I’ve actually seen that. I cried watching it. It’s a very emotional thing, it’s the Big Moment. You’re not taking THAT moment away from him. You’re multiplying it. This time, you’re walking towards him to take his hand in marriage. Believe me, he’ll understand the heaviness of that moment. And it will hit him all over again.